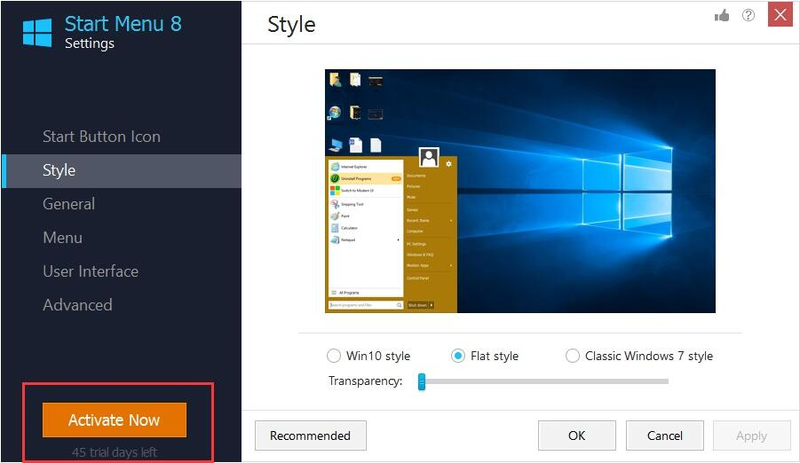 Before Windows 8 and Windows 10, life was so much simpler – to get started doing anything, you’d just click on the Start menu. 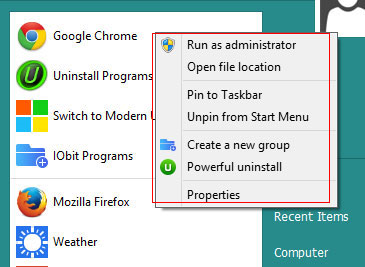 But after upgrading your computer to these new operating systems, you figured out your first problem – no Start menu! 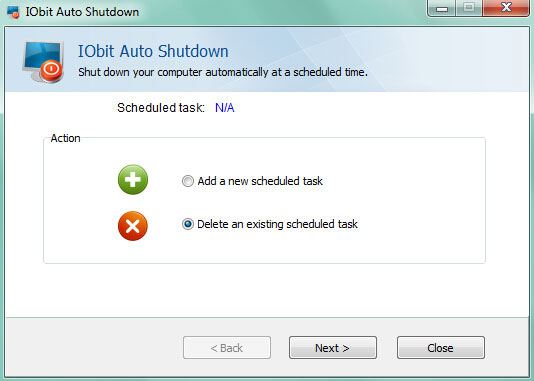 Get it back quickly using today’s discount software promotion, Start Menu 8! 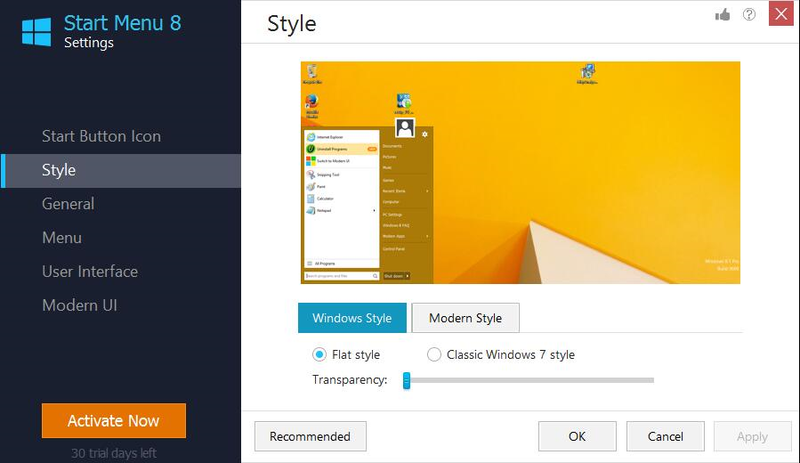 Start Menu 8 brings the classic Start Menu to Windows 8 and Windows 10, and offers a powerful file search that’s 20% faster! 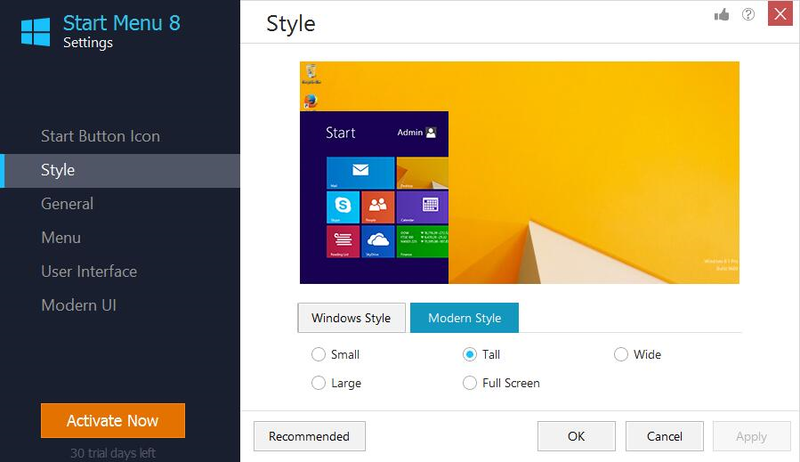 What’s more, the background color of your new Start Menu will change to match your desktop background. 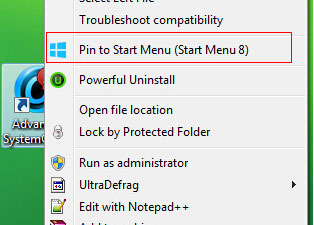 And about that faster file search - Start Menu 8 lets you pin frequently used and recent files to the Start Menu so you don’t have to repeat your search every time! 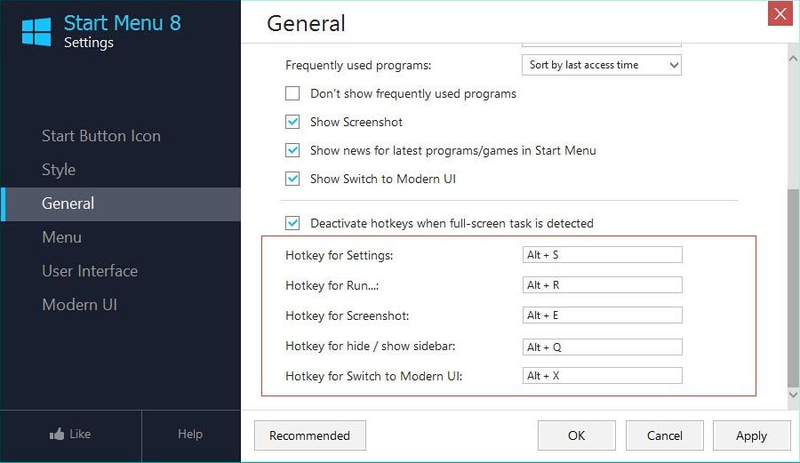 Ever go to click on something in Windows, only to accidentally click on an ad and jump to somewhere you never intended to go? 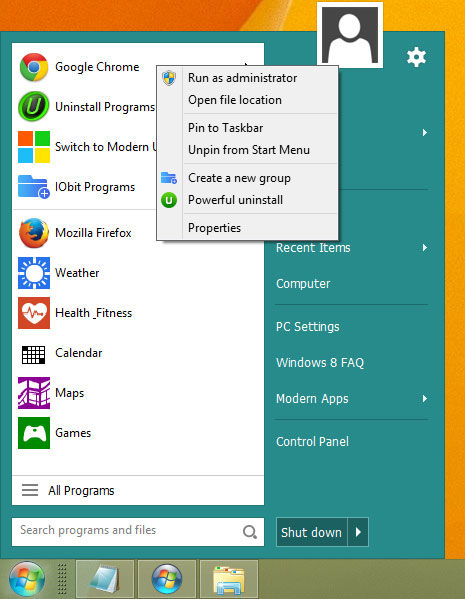 Eliminate this situation by installing Start Menu 8, which offers a Start Menu completely free of advertising! 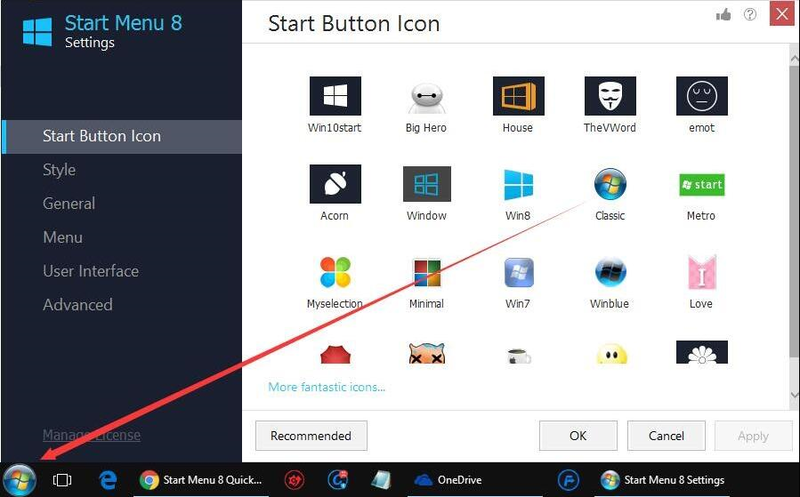 Best of all, you can customize your Start Menu 8 settings with your own account picture, favorite applications, and even alter the way programs are displayed! 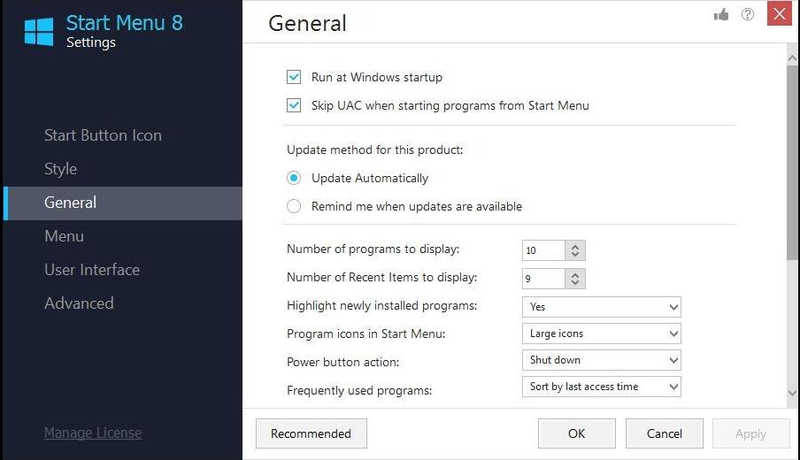 After you purchase Start Menu 8, it may be used for 6 months. 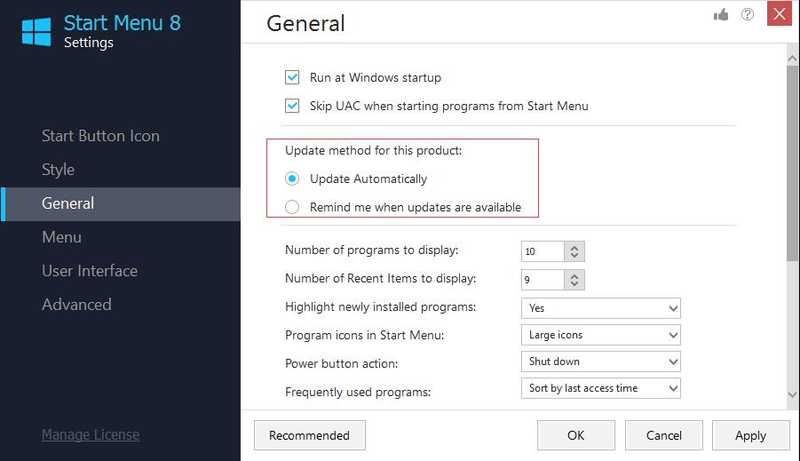 After you purchase Start Menu 8 it may be used for 6 months and will not function after that unless you renew your subscription. Robert User Malwarebytes also flags the program as a p.u.p. I believe both antimalware programs flag most registry cleaning and windows optimization programs as potentially unwanted programs. That is probably because these programs are a bit invasive. Doesn't mean that the so-called p.u.p. is bad. 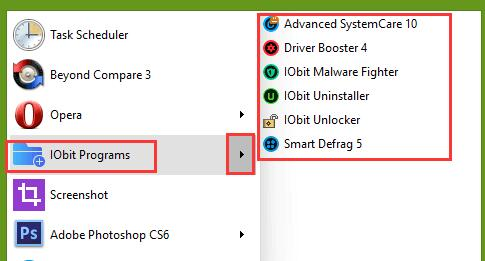 If you really like the program you can set up your antivirus program to ignore the p.u..p. Notice it does not say that the p.u.p. is malware. 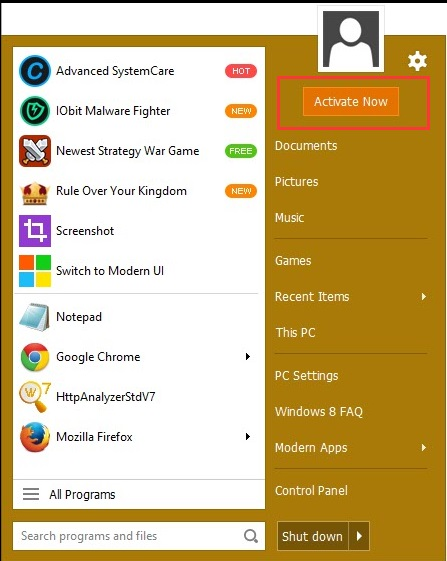 I get a bit tired of Malwarebytes telling me what programs not to put on my computer. Do you really think that BitsDuJour which is a respected download site is going to give you malware? I think not.